We're fully on board with Galentine's Day and we whipped up a sweet and simple DIY project you can complete in a matter of hours. Start brainstorming nicknames for your dynamic duo, your terrific trio, and your fantastic foursome, because once you start this project, you won't want to stop. I don't know about you, but in light of current events, I'm feeling an abundance of gratitude for the women in my world. The future is indeed female, and when ladies come together, remarkable things happen. 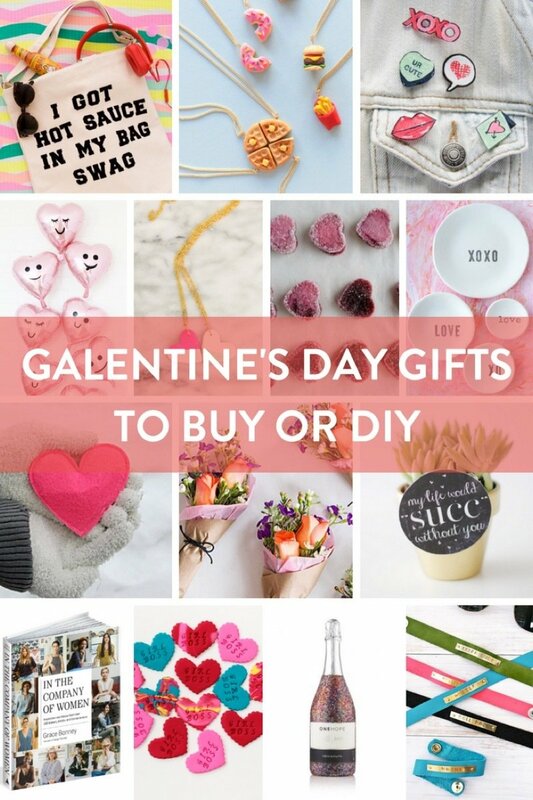 What better way to celebrate sisterhood than to treat your tribe to a Galentine's Day gift? I've rounded up my favorite gifts to give to your best friends, as well as a couple easy, meaningful DIYs you can create with your own two hands. This morning it hit me... Valentine's Day is only a couple weeks away! It's always a good excuse to pair red with pink and eat lots of candy. And it's also a great reason to do some crafting! So I've rounded up ten of my favorite Valentine's Day-themed DIY projects. Whenever my husband gets one of those "Scratch and Win!" things, he's all over it with his loose change, and if he doesn't win, he scratches off everything anyway. That's why I can totally see him loving this DIY valentine idea. Check out Swelldesigner's cool post on how to make really cool, personalized wrapping paper for your gift-giving adventures this season. "In the 1967 Herman Miller catalog the “International Heart” is referred to as “Love Heart” and “A tribute of Love and Friendship to your wife, sweetheart, or customer." And you could get a 15 1/2 square for a whopping $2.25. Not bad!